The Gemology course provides unsterstanding and knowledge of the identification and certification of gem materials at the scientific level. It is ideally designed for individuals wishing to work as colored stones gemologists or to join the gem business world. Graduates of the course will understand and be proficient at identifying gem materials, their origins and their treatments. This course will open you to the colorful world of gemstones and explain how to distinguish their quality and determine their value. The scope of the course covers about 40 of the most popular gemstones and organic gem materials in the trade, including the differences between natural, treated and synthetic ones. In addition, the course covers a wide range of topics, such as the criteria for gem definition, crystallography, durability factors, optic-based gem properties and instruments, coloring factors, spectroscopy and fluorescence, specific gravity, microscopic inclusions and their relations to different origins and geographical sources, optical phenomena, sources, productions and precious stones investments. A fully illustrated Gemology course notes. Access to hands-on exercise on thousands of colored stones with the use of gemological equipment and eye estimation (in GW College campuses). Taking the Gemology course proves a competitive advantage to one's career in the gem world. The knowledge and expertise provided within the course will allow the student to identify gems and their origin, detect enhancement processes which the gem has undergone and document and issue an official gemological report. This course will also provide the student with skills to professionally use a gemological microscope, loupe, polariscope, dichroscope, gem refractometer, spectroscope, hydrostatic weighing balance and UV lighting. 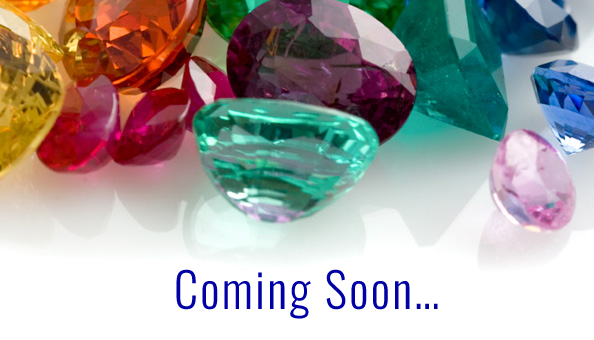 If you intend to pursue a career in buying, selling or certifying gemstones, then this is the course for you!